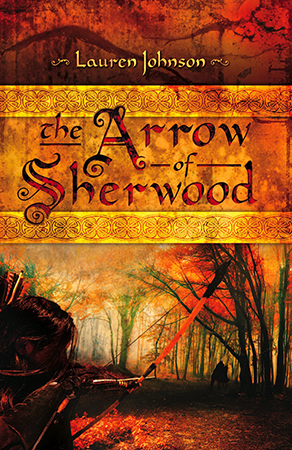 Lauren’s debut novel, The Arrow of Sherwood, was published by Pen & Sword Fiction in 2013. It is an origin story of ‘Robin Hood’, rooting the legend of a man named Robin of Locksley in the real, brutal world of Richard I’s reign. 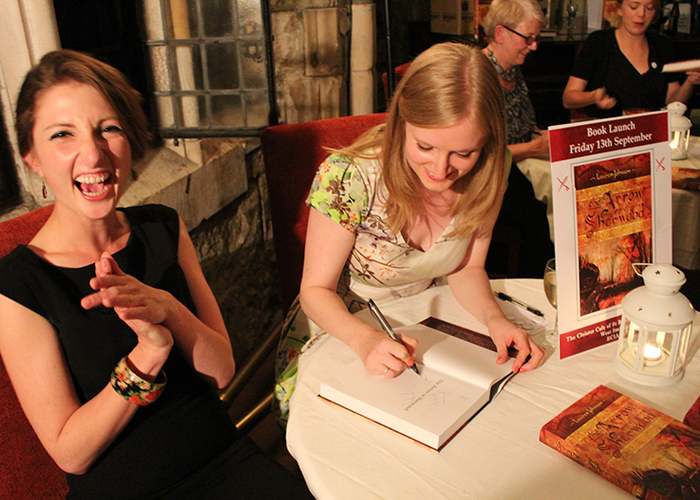 Lauren’s second book So Great a Prince: England and the Accession of Henry VIII, explores the first year of Henry VIII’s reign, a period of Tudor History that has often been overlooked but was to prove of seismic importance for the king and his country. For Untold she wrote Lady Unknown, a play exploring the friendship and philanthropy of Charles Dickens and Angela Burdett Coutts. Lauren is currently working on a biography of the king who caused the Wars of the Roses, Henry VI. 1193. The Crusade led by Richard ‘the Lionheart’ has failed to regain Jerusalem. King Richard has been captured and now sits in a prison in Germany – 150,000 marks demanded for his release. The lords of England are scattered across Northern France, defending their territories there from the French King Philippe. And a crusader called Robin of Locksley returns from the Holy Land to his home in Nottinghamshire. Having paid his penance for a murder committed in self-defence, Robin is determined to be the true lord of Locksley that his father always wanted. But during the four years he was away Robin’s father has died, his mother remarried and a false rumour of Robin’s death has put the whole Locksley estate in the hands of a Norman lord, Eudo de Vipont. Even the marriage arranged for Robin – to the Sheriff’s daughter, Marian Peverill, as unwilling to marry him as he was to wed her – has been granted to another man, Eudo’s nephew, Guy. Against this backdrop of murky politics, conflicting allegiances and violence Robin must decide whether to keep to his oath to his father and be a good lord, or help his old common-born friends and prove himself a good man. So Great a Prince offers a fascinating glimpse of a country and people that at first appear alien - in calendar and clothing, in counting the hours by bell toll - but which on closer examination are recognisably and understandably human. Lauren Johnson tells the story of 1509 not just from the perspective of king and court, but of merchant and ploughman; apprentice and laundress; husbandman and foreign worker. She looks at these early Tudor lives through the rhythms of the ritual year, juxtaposing political events in Westminster and the palaces of southeast England with the liturgical and agricultural events that punctuated the year for the ordinary people of England. The political transition of 1509, when a glowing Henry VIII succeeded his withered, grasping father Henry VII, has become a hot topic... Lauren Johnson has focused on the year 1509 itself. Her book takes the year as contemporaries would have measured it, from one Lady Day (March 25) to the next, and moves from season to season, following events at court and linking them to the lives of the wider population. The device is ingenious and largely successful. The political narrative is crisp and leaves room for a portrait of English life across a wide social and geographical range... This is an assured and eye-opening introduction to the England of 1509. Lauren Johnson is a terrific guide to a country on the brink of profound and permanent change, connecting everyday life with the thrust of great political events. This is a gripping and important work from a very talented new writer. 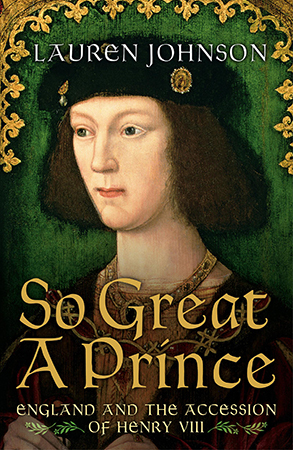 A fascinating and original book, So Great a Prince is a richly textured journey through a pivotal but often overlooked year in English history. Johnson is a fine historian with a superb eye for detail. 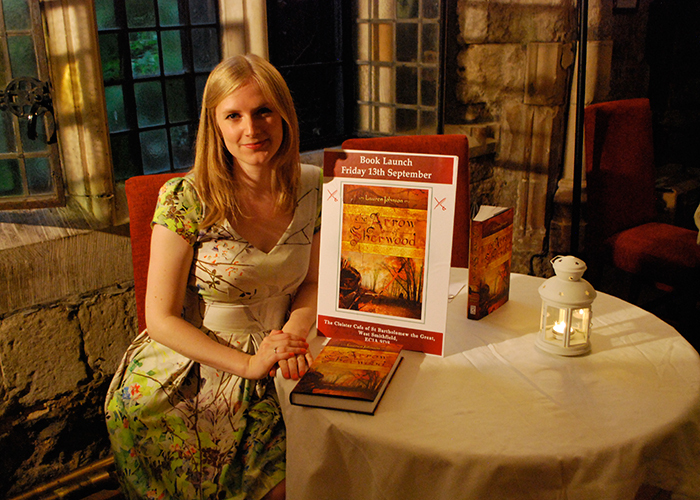 She will be at the forefront of British historical writing for a long time to come. The characters are well rounded, interesting and authentic. Their struggles and reactions are believable and perfectly blended with the history behind the legend. I have read many takes on Robin Hood over the years but this book has been, by far, my favourite. It pleasantly surprised me and I could not put it down, I was completely engrossed. It’s a unique blend of legend, history, genuine characters, and page-turning storytelling. If you are a fan of this English outlaw and you’d like to read a realistic take on this magical myth, Arrow of Sherwood definitely won’t disappoint. This is medieval historic fiction with elements of romance and frankly I can't wait for the sequel. The underlying research and detailed knowledge of behaviours and ethos shines through, without getting in the way of the pacy plot. Characters are well drawn and believable, and the retelling of this most English myth feels entirely fresh and new. Johnson wears her learning lightly (she's a historian and scholar), and it is mighty refreshing to read something both well-written AND accurately researched. Top form.